Dictation is sent securely to our servers using Emdat Mobile (Apple iOS or Android mobile devices), InSync (a handheld digital recorder), or InTouch (telephone). 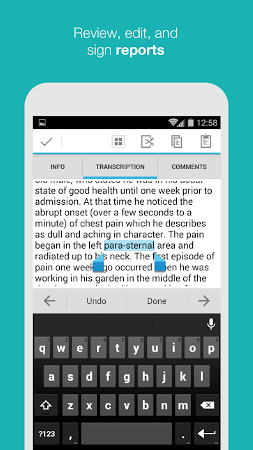 Dictation files are automatically routed to available transcriptionists. Once transcription is complete, the file is automatically returned to our servers and moved to the next stage in the workflow specified within InQuiry. ​Administrators and physicians use InQuiry to view, edit, print, route, auto-fax and electronically sign transcriptions, as well as generate cover letters, patient letters and envelopes. Completed transcriptions are held in folders where they can be printed and filed in the paper medical record, printed and mailed to referring clinicians or exported to any EMR system. 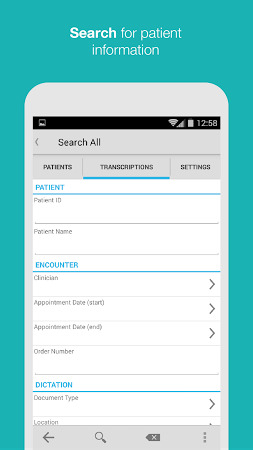 ​Our suite of applications provides medical facilities with a HIPAA-compliant, flexible, seamless and cost-efficient web-based solution for fully managing the dictation and transcription data delivery and storage process. 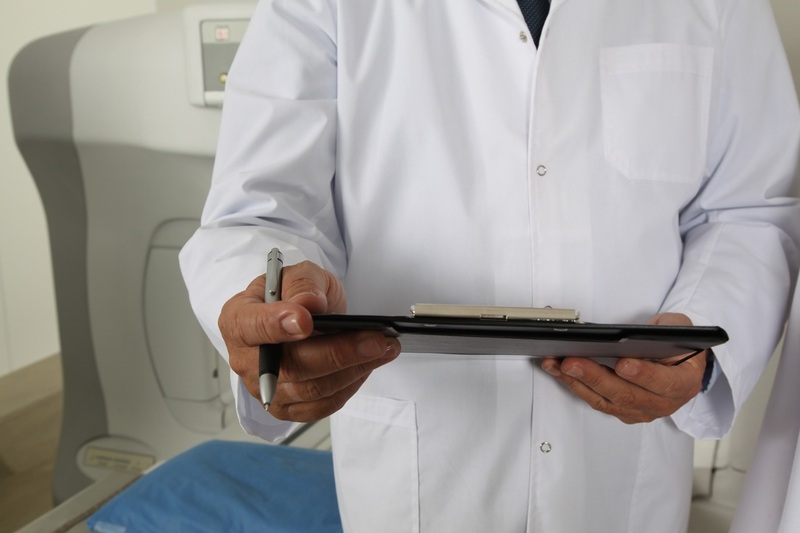 Our system is used by more than 2,600 medical facilities throughout the United States and a network of hundreds of medical transcription companies. Because the software resides on our servers, minimal upfront startup costs are required. Function: Use Apple iOS or Android mobile devices to create and upload dictations, review appointments, review and approve completed transcriptions. Function: Upload and route medical dictations. InSync automatically uploads dictations from a docked digital recorder to our servers via the Internet. InTouch, our telephone dictation system, can emulate any type of telephone dictation system on the market. Full 128-bit encryption technology maintains complete security through the entire process. Function: Determine, track and advance the journey of dictations and their corresponding transcriptions from creation to completion. User: Administrative staff and clinicians. 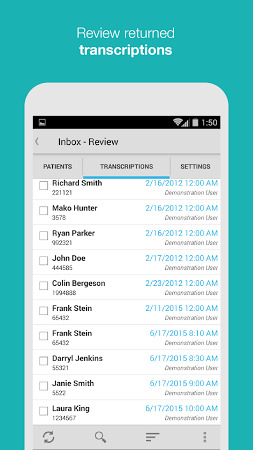 Administrators map and manage their day-to-day transcription workflow. Transcriptions are available around the clock in a totally secure (128-bit encryption), searchable database. Users can view, edit, print, route, auto-fax and electronically sign transcriptions, as well as generate cover letters, patient letters and envelopes. If a designated recipient of a copy of a transcription — "Referred Associates" — uses Emdat, completed transcriptions are automatically delivered to a designated folder within their workflow view. 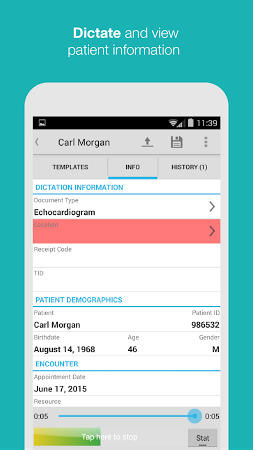 Completed transcriptions can be printed and filed in the paper medical record. Alternatively, data can be exported to automatically populate any electronic medical record (EMR) system. This interfacing capability is provided for no additional charge.